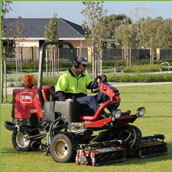 Prime Landscaping offers a complete landscape maintenance service with an experienced and qualified team dedicated to improving the horticultural condition and aesthetic appeal of the sites we maintain. Regular maintenance enhances the aesthetic appeal and value of a commercial site and ensures the area is safe for residents, workers and visitors. We create customised maintenance programs for a range of clients, including property developers and local government authorities. 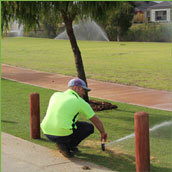 Our maintenance specialists assess the site and determine what services you require. They will then discuss aspects such landscaping preferences and safety issues and assess any perceived problem areas, so that the program can be tailored to match your needs and your budget. With expert backup and on-time scheduling from our administration department, a documented year-round landscape maintenance program will help to ensure that your newly completed park, garden or streetscape is maintained to its original design parameters as it grows and matures.